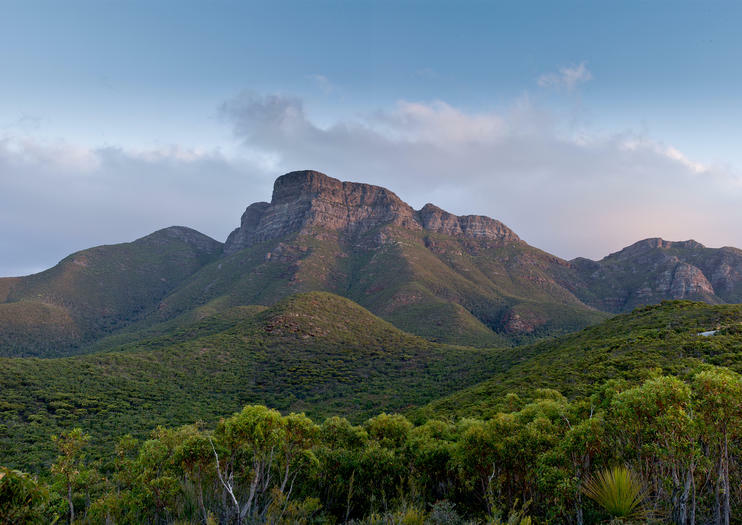 Looming over the Stirling Range National Park, the 1,095-meter peak of Bluff Knoll is the highest mountain of the Stirling Range, as well as one of the highest points in Western Australia. A popular challenge for adventurous hikers, it’s a steep but non-technical 6km return hike to the summit, taking around 4-6 hours on a marked trail. For experienced climbers, there is also an abundance of challenging climbing routes, most notably along the precipitous North Face. Often touted as one of Australia’s best hikes, the unique landscapes of Bluff Knoll and the surrounding park serve up an ever-changing panorama for hikers. Most notable is the spectacular array of wildflowers, which bloom during the summer months (October-December) and include more than 1,000 varieties of banksias, mountain bells and orchids, many of which can’t be found anywhere else in the world. Kangaroos, wallabies and emus, plus a wide range of exotic birds and parrots are also frequently spotted. Bluff Knoll is a mountain located in the Stirling Range National Park in Western Australia.